Oh, oh – flat tire. No problem – you have a patch kit (or a spare tube). In a couple minutes, you’re all set. Whoops – no pump (or inflator). Not to worry, there was a gas station/Stewarts about a half mile back. Yikes! 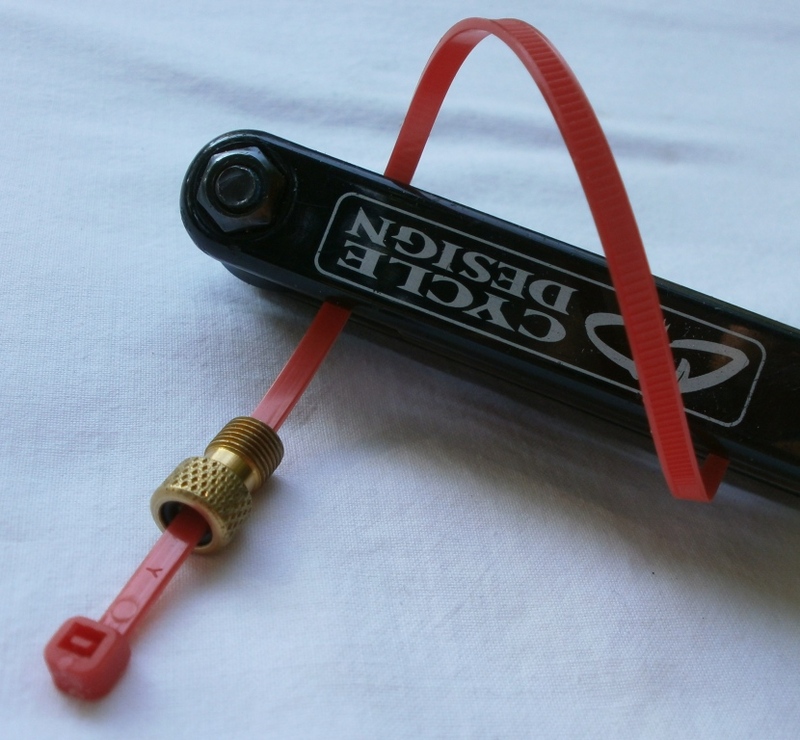 Your tubes have Presta valve stems – and we all know that gasoline stations cater to Schrader valves! 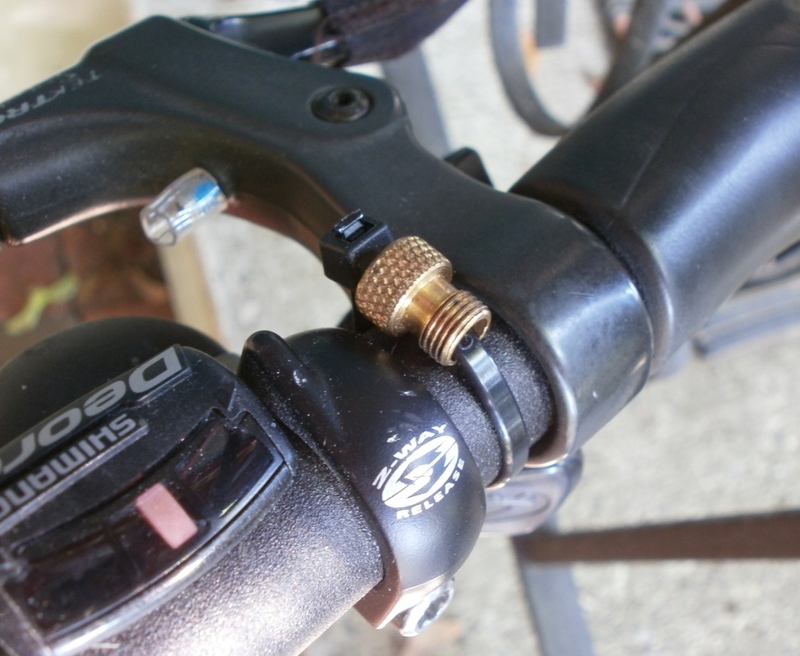 Here’s a simple fix courtesy of alert cyclist Keith – simply “zip tie” a Schrader-Presta adaptor (about $1.00 at your local bicycle shop) to your multi tool or handlebars (see photos), and you can rest at ease as you amble back to that air. But, wait a minute, how do I cut the “zip” tie . . . ?